Chelsea supporters have given the all-clear for Safe Standing to be introduced in the plans to redevelop Stamford Bridge, the Daily Mail reports. 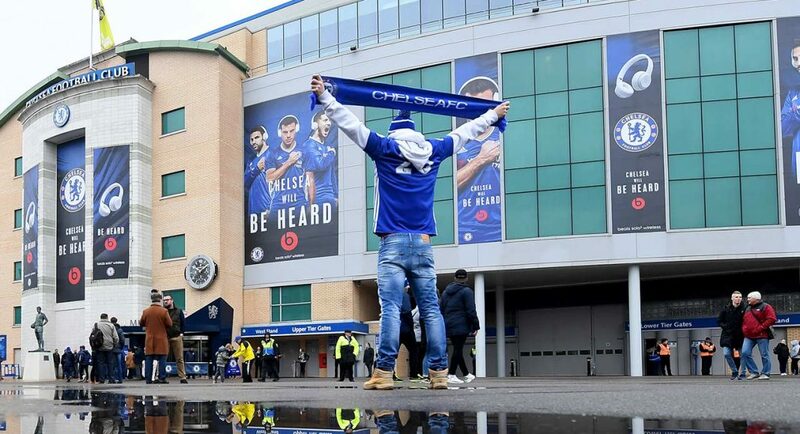 The Chelsea Supporters Trust conducted a survey which showed that the fans believe these plans would create a better atmosphere and Blues fans also want to see a drop in ticket prices, as reported by the Daily Mail. The Daily Mail note that the club have commented in the past saying if the rules change they would be open to allocating a safe-standing section. However, there are no ideas as of yet in implementing the section into the plans for the new stadium. The survey also found out about the fans desired location for a temporary venue whilst the Bridge is under construction. The Daily Mail report that Twickenham is the preferred choice receiving just under half of the support from those questioned. The stadium is based in the same area of London as the Bridge and is mostly known for hosting England Rugby matches. Wembley is close behind whilst West Ham’s London Stadium received just over 10% of support, as reported by the Daily Mail. But despite the excitement of what the new stadium could bring in terms of atmosphere, the main concern may be whether the temporary venue can replicate that same fortress feeling that the Bridge has provided us in the past.